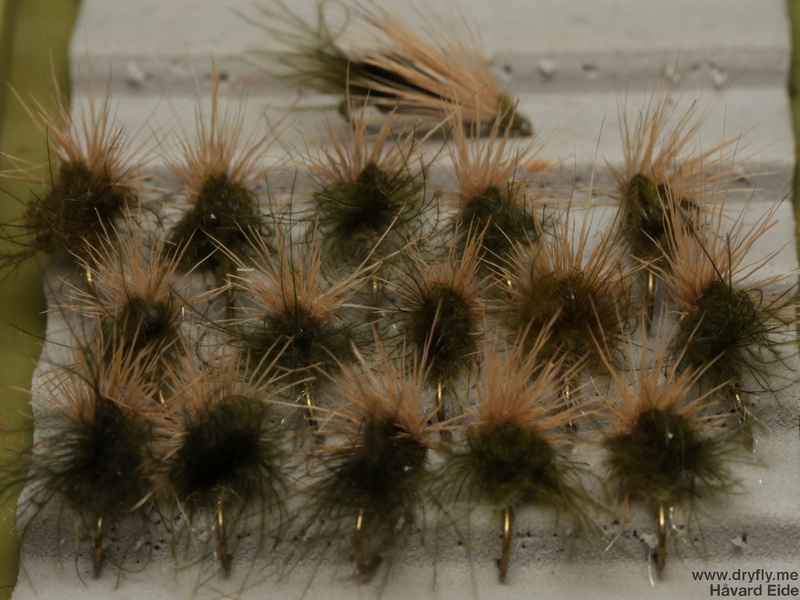 The winter has been spent experimenting and trying out different things: everything from #32 to large hair-wing tube flies have been tied to get a grip of the different techniques and materials. But: I got a good deal on 3 boxes of TMC 100BL in #12, #14 and #16 the other day and it is time to think about the summer and the trout. If you have followed this blog you have seen this pattern before (in various colors), but this is my favorite combination: green cdc and white deer hair. It floats in the water like a cork and works very good in rapid streams, this fly got over half my trout in the 2013 season! 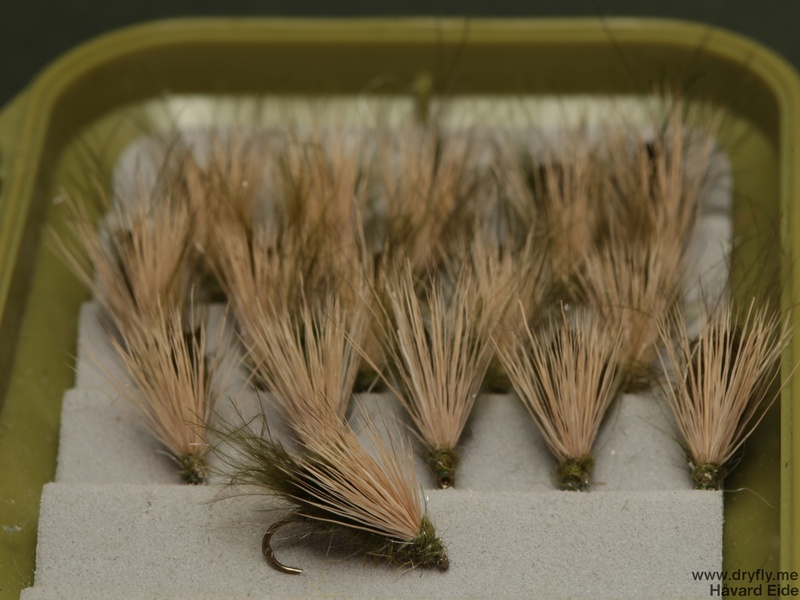 This year I’m tying up a batch of barbless as well, and starting out with some rows of #12 before filling the box with #14 and #16 as well – going barbless on trout that I go after with my #1 and #0 is a thing I will start doing (have not fished much with barbless before, but this year I will), so I will keep a box of these with me at all times.